A). The fish spread their fins, dart about and breathe rapidly The pH may be too low Do a pH test and use baking soda to raise it up to the required level. Could be poisoning, or high ammonia levels Change the water several times and filter over fresh, activated charcoal. D). Red worms appear at the bases of the fins Bloodworms (Philometra sanguinea) in the blood are involved No treatment known, in the aquarium there is no danger of any spread of the parasite. F). White dots, up to 1mm in size, form on the fin edges and surfaces a). Your fish is affected with Ichthyophthirius (Ich). b). Use: Quinine Sulfate -or- Forma-Green -or- Copper Sulfate. G). A velvety coating forms on the fin edges and the sides. With a magnifying glass, the individual dots are visible Your fish are affected by Oodinium Use: Forma-Green -or- Copper Sulfate. I). Small, white, cauliflower looking substances are attached to the fins, or at the base of the fins. 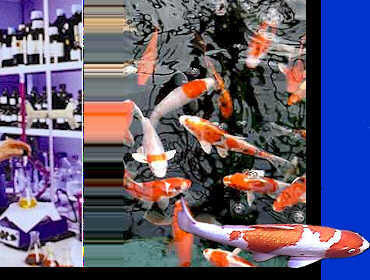 Your fish is affected by the Lymphosistis virus No suitable treatment known. J). Wormlike cysts, measuring up to 1cm are found in the fins Probably Dermocystidium No suitable treatment known. K). The fish have redness at the base of the fins, or... red streaking in the fins and/or body. 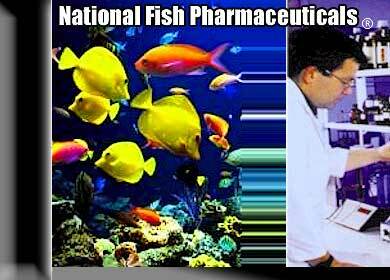 Your fish are affected by Hemorrhagic Septicemia Treat the fish with Doxycycline -or- Oxytetracycline for 10 days.